Dozens of communities across the province are creating jobs and diversifying their economies with new support from the Community and Regional Economic Support (CARES) program. Minister Deron Bilous announces second intake of CARES funding in Calgary with some of the successful recipients. 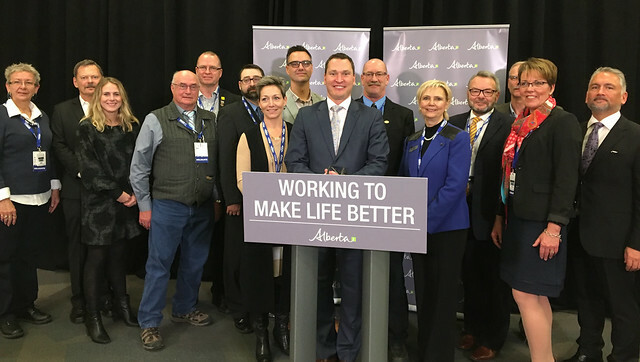 Economic Development and Trade Minister Deron Bilous announced the approval of 50 initiatives during the Alberta Urban Municipalities Association annual convention in Calgary this morning. Economic development through business expansion and retention programs. Strategic planning, such as feasibility studies, business analysis and strategies. Small and medium-sized business capacity building, such as workshops, training and coaching programs. A small business incubator focused on supporting entrepreneurs looking to start a social enterprise in Calgary. An Indigenous pipeline-monitoring program in Edmonton. An entrepreneur mentorship program in Canmore. A training program for small Alberta businesses entering the organic growing sector. Through the CARES program, communities in every corner of the province can apply for funding to help pay for locally developed projects that promote long-term economic growth and diversification, particularly projects that communities and municipalities could not necessarily fund on their own. The 50 newly approved projects are receiving more than $4 million in funding. This adds to the 61 projects throughout the province already receiving almost $5 million in support through the first intake of the CARES program. The third intake for the program is now open and will run until Nov. 30, 2017. Eligibility criteria and more information on how to apply are available at jobsplan.alberta.ca. A complete list of grant recipients and projects is available online.